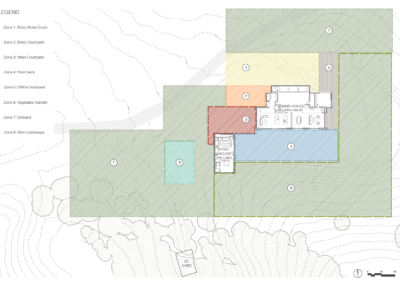 After losing their mountain house in a structural fire in 2017, the clients for The Phoenix were eager to start fresh. 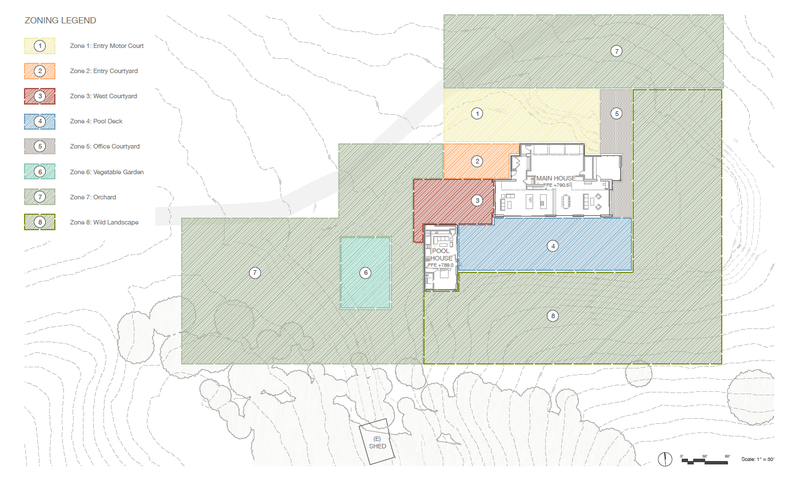 While previously enamored with the site itself, their old home was far from faultless. 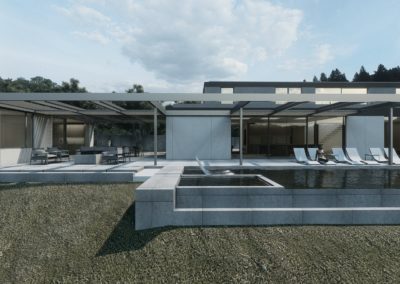 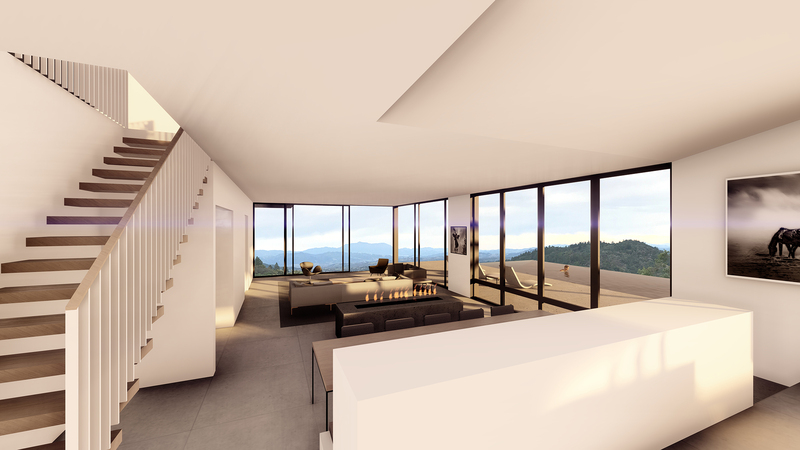 Situated at the top of a ridge in Healdsburg, with views stretching across the valley as far as Mount Saint Helena, the location is a prime spot for an outdoor escape. 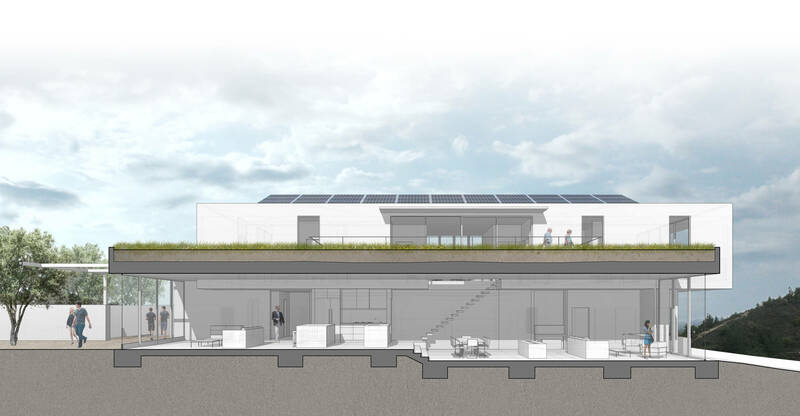 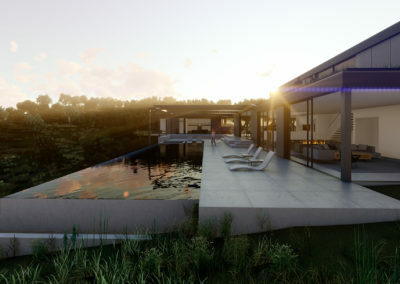 The home’s design includes green roofs, solar panels, and grey water harvesting to fully embrace the green living lifestyle. 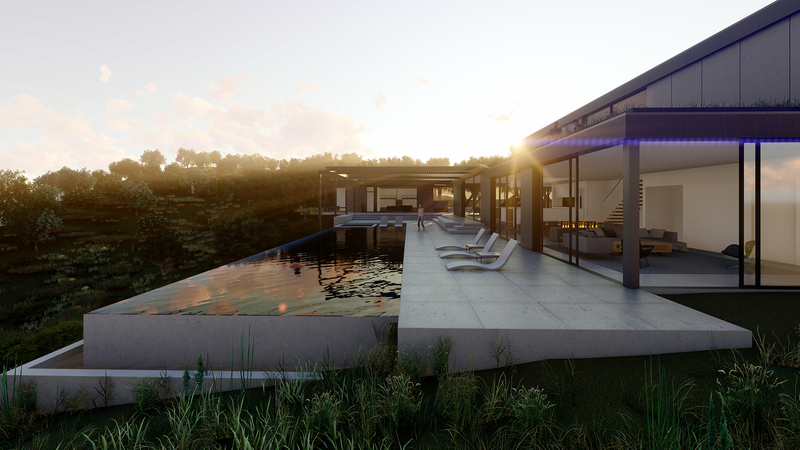 The family adores being in nature and has a passion for sustainable living, thus the new home is designed to be surrounded by olive and fruit orchards as well as a vegetable garden. 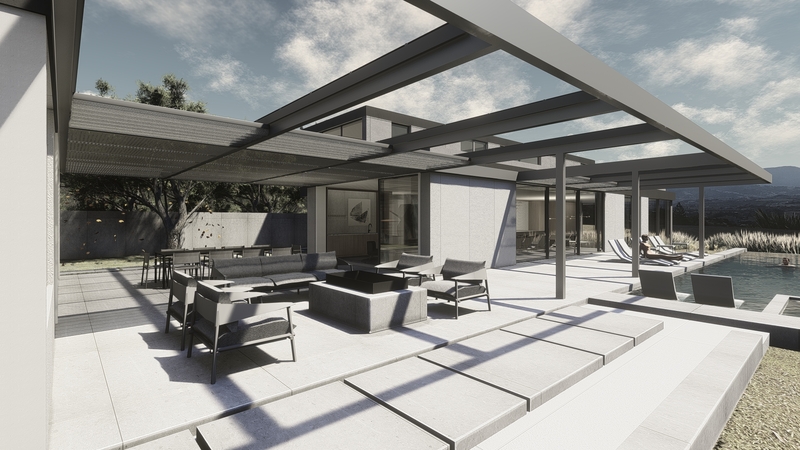 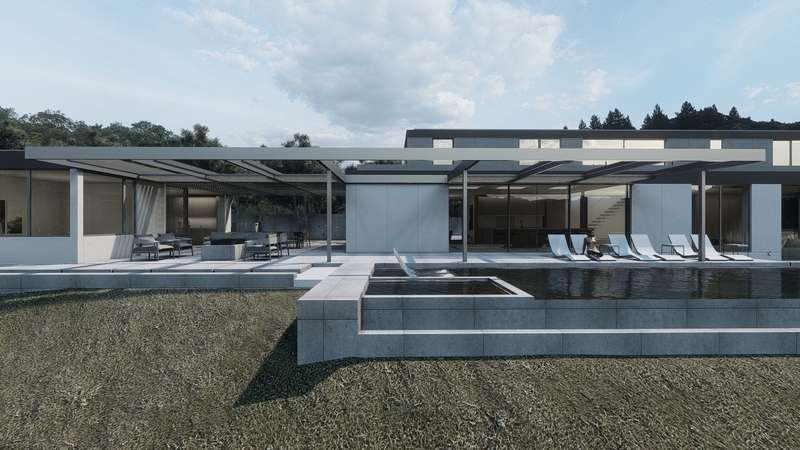 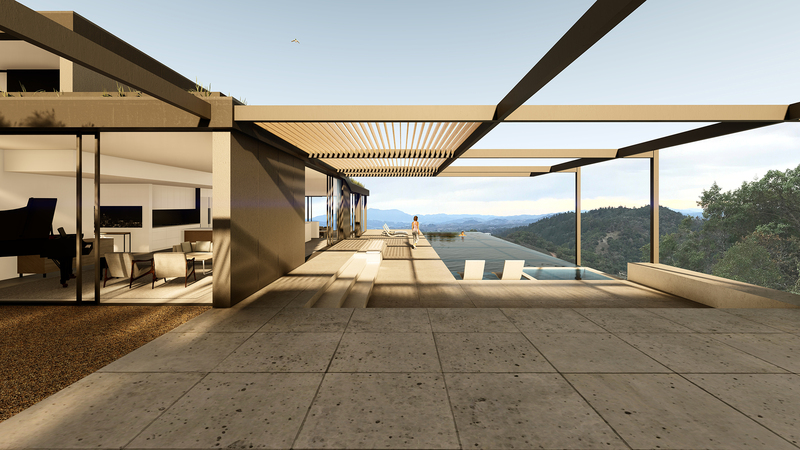 Oriented parallel to the pool, the home sits on the site with the access road to the north and expansive views to the south and east. 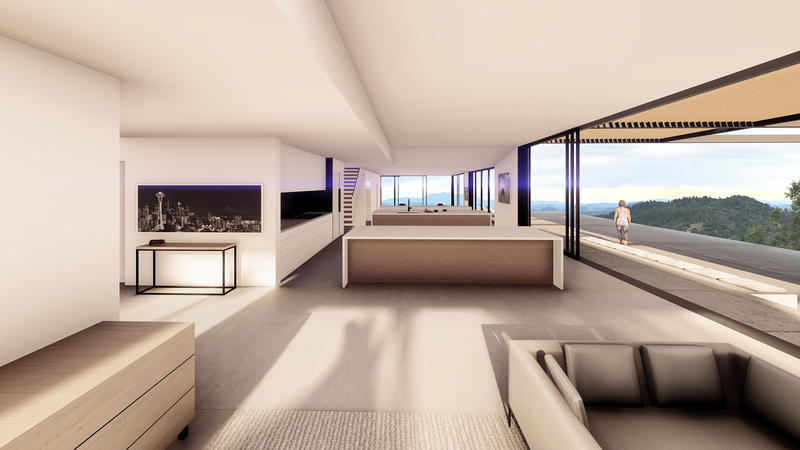 The main floor boasts an open plan Great Room while the upper bar is dedicated to the family’s private spaces. 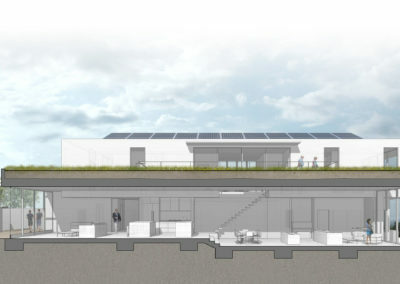 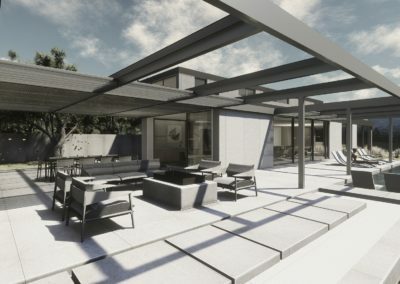 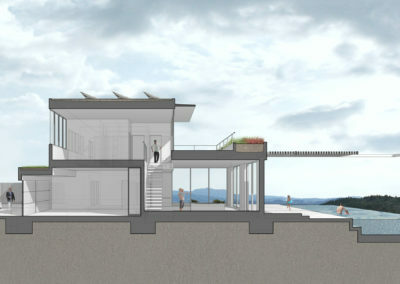 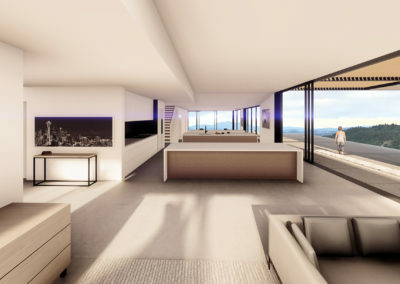 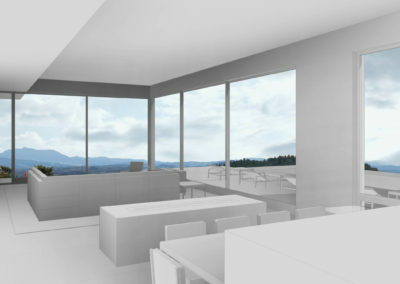 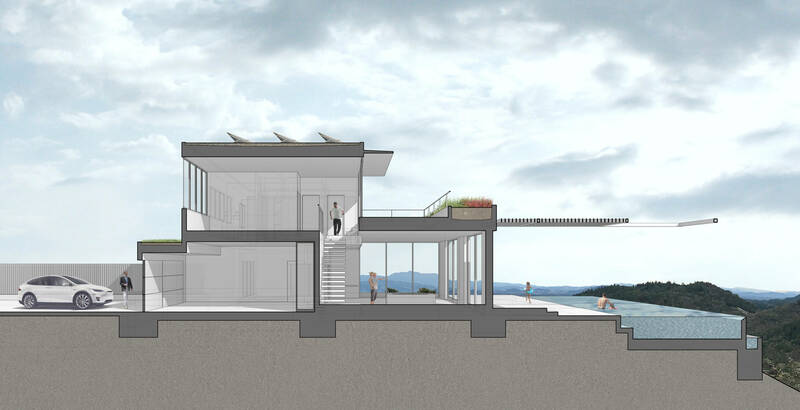 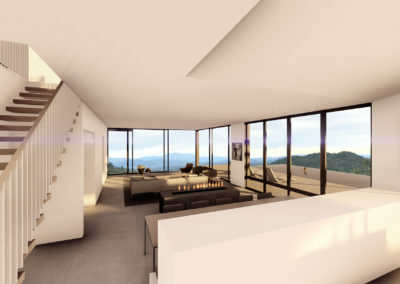 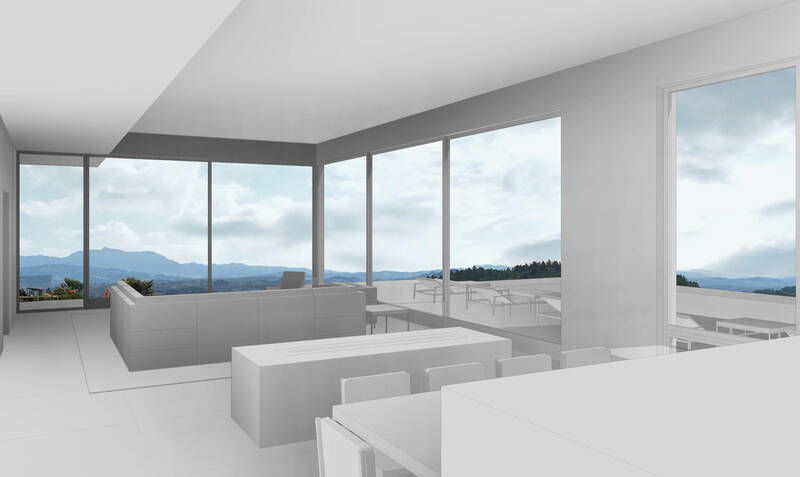 The upper level opens up to green roofs and a western deck designed to capture the best views of the mountain sunsets. 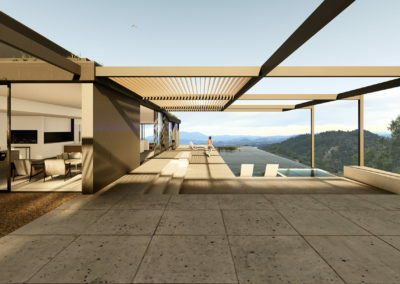 The client’s desire to rebuild a modern, healthful, hilltop getaway manifests in a contemporary home that is intimately connected to its natural surroundings.